Question: What is your experience of getting cities to work with industry? Gustaf Landahl: Often you have the idea that cities and industry just work by cities ordering products from industry. But if you look at things like infrastructure, it’s often the cities can be the door-openers for creating markets for the industries as well. That part is not as well developed. So that’s why we, in the GrowSmarter project, work very much with the industries and the cities together, to help show the smart solutions for a wider group of cities to create the market. Question: Why do you think it’s not as well developed? 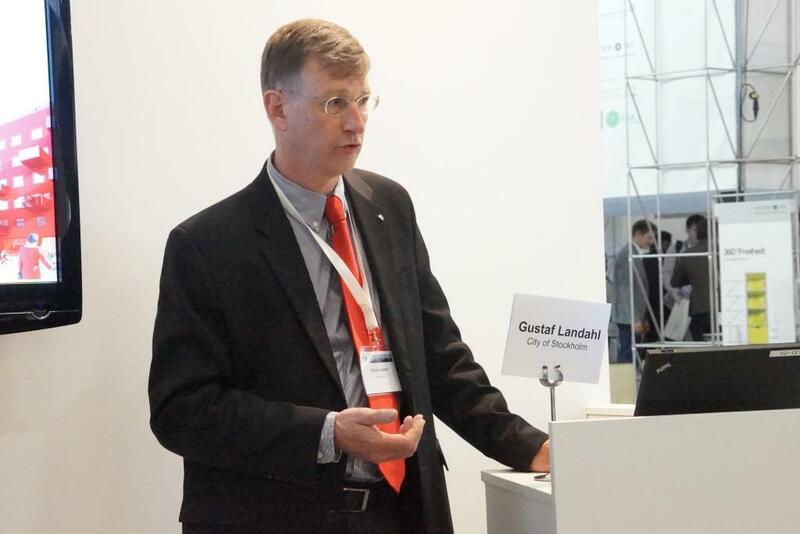 Gustaf Landahl: Sometimes cities just want to talk to cities, through networks like ICLEI. Their own world is just cities. And sometimes industries only talk to other industries. I think cities are bureaucracies and poor at developing things, maybe. And I see that often the solutions lie in the cooperation between them in a much better way. And it’s sometimes difficult to create, because they have such different cultures. It can be done, and I’ve seen in several projects that it can be successful. Question: Do you think you have managed to do it well in Stockholm? Gustaf Landahl: We have in other project on clean vehicles – we have managed to get markets going for ethanol-powered vehicles in other parts of Europe and in South America. Companies can also help to move environmental issues in a good way and move our market, which helps the city of Stockholm and its inhabitants. So yes, I have seen examples where it does work. One thing you can’t really do well from a city is to work with developing new solutions. You can help create a market for existing solutions which are just on the verge of getting onto the market, like new types of vehicles, electric vehicles – by doing joint procurements you can get more of them on the market. But I think it’s very difficult to just develop a new solution from scratch. Those earlier stages, I don’t think you can use municipalities.